East Coast songwriter Joel Plaskett's long and illustrious career in the Canadian music biz is set to be examined in an upcoming biography. Covering Plaskett's teenaged alt-rock days through to his present-day activities as a solo artist, author and former Exclaim! 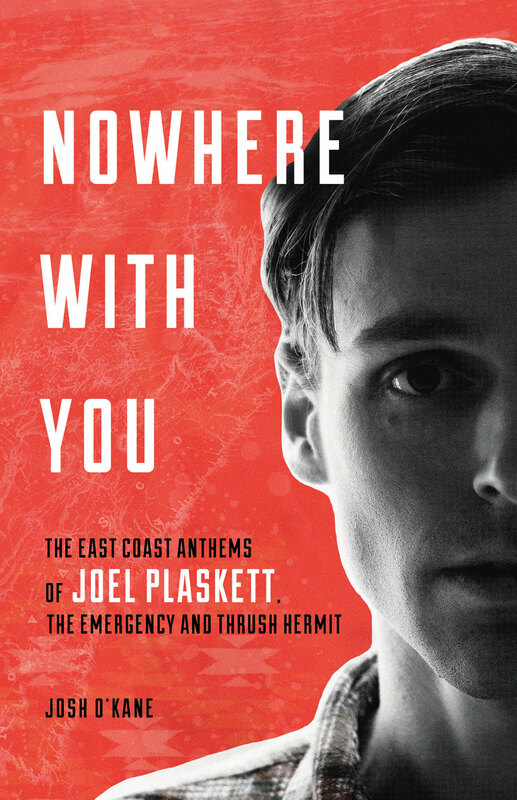 contributor Josh O'Kane's Nowhere with You: The East Coast Anthems of Joel Plaskett, The Emergency and Thrush Hermit hits book shelves April 1 via ECW Press. An Amazon listing notes that the 220-page tome acts as a career overview, starting with Plaskett's time with Thrush Hermit, who are described in the press release as "scrappy Superchunk mimics who became hard-rock revivalists and one of the last survivors of the '90s pop 'explosion' of major-label interest in Halifax." The book will apparently take a look at the deservedly hyped Halifax scene of the early '90s, which had the city touted as "the new Seattle." Nowhere with You will also weigh in on a music career that has balanced major label signings and Plaskett's critical acclaim with "playing to empty rooms in Oklahoma." In addition, the tome will examine Plaskett's post-Thrush Hermit time with his band the Emergency, as well as his strictly solo work. On another level, the book will apparently take a more personal look at the songwriter's life in Nova Scotia. In case you didn't catch the reference, the book takes its name from Plaskett's Make a Little Noise number, "Nowhere with You." In related news, Plaskett recently announced that he and a couple of business partners will be opening a unique, multipurpose establishment in Dartmouth, NS, called the New Scotland Yard Emporium. The space, which officially opens October 10, includes a coffee shop, a record store, haircutting services and more. You'll find out more about the Emporium over here.